White House Down had a June release, which means the home entertainment release would ordinarily be coming pretty soon. This week, Sony Pictures Home Entertainment announced the action flick will be hitting Blu-ray, DVD, and Digital, but the set might be coming a wee bit later than fans may have anticipated. White House Down won't hit homes until November 5. For years, the buddy action comedy flick was a format that really worked. So, when Jamie Foxx and Channing Tatum signed on to save the presidency together, people thought the flick would laugh all the way to the bank.Unfortunately, those good vibes didn't last. The flick about a recently denied Secret Service applicant who is tasked with saving the President after the complex is taken over by some very bad men failed to excite people and didn’t even make it’s budget back at the box office. It’s bad enough when this happens domestically, but when that includes the worldwide box office numbers, it’s dismal. White House Down is a fun summer action flick, and the fact that it was ignored by moviegoers is a little baffling. There are many theories that may have contributed to the flick’s lack of success theatrically, theories that range from the film not having enough star power behind it to the theatrical release of the similar film Olympus Has Fallen taking away some of the film’s power. We have a whole slew of theories listed here, but if you didn’t catch the film, the home release might be the time to see it from the comfort of your own couch. 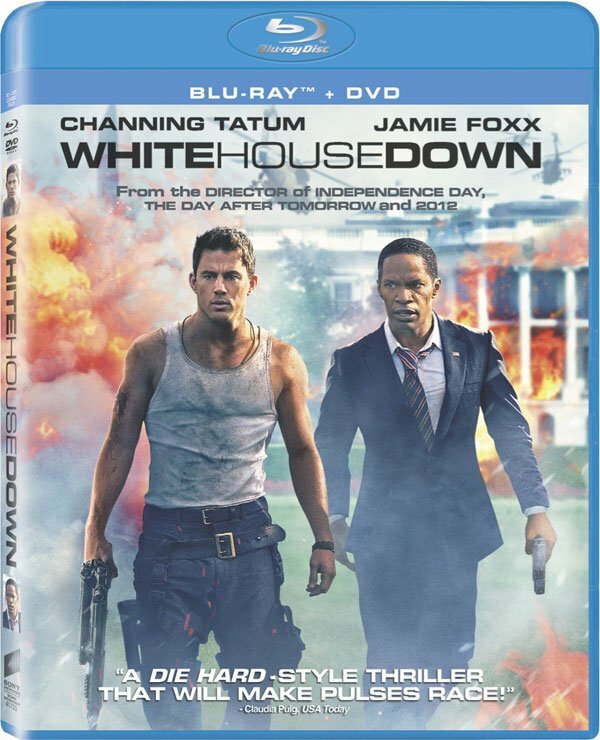 White House Down may not have been the biggest box office success of all time, but that hasn’t stopped Sony Pictures Home Entertainment from putting together a robust set for the movie. Blu-ray copies of the film will come with a whopping nine exclusive featurettes, and at this point we’ll have to just hope that these featurettes are actually lengthy and not just a couple of minutes long apiece. A few other featurettes will also be included with both Blu-ray and DVD sets. You can check out the full list, below. “The Inside Story” – Uncover this concept’s fast-moving rise to the big screen. “Drowning The Beast” – The presidential limo escape. Roland Emmerich - Upping The Ante – A look at Emmerich’s vision for the film. Meet The Insiders – Shining a spotlight on the star-studded supporting cast.